There are a lot of options out there if you're looking for a quality Bluetooth speaker. Most of them have flashy names, like Beats or JAMBOX. 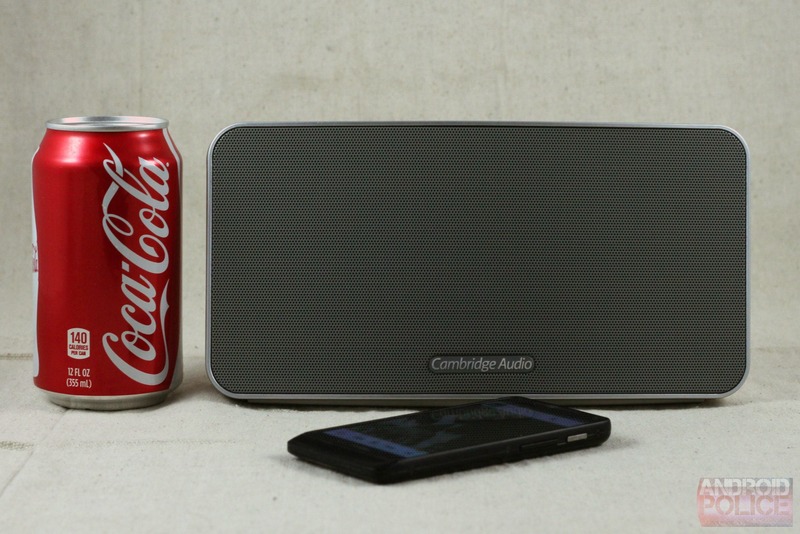 But Cambridge Audio, a UK company that doesn't get a lot of press across the pond, has just introduced the Minx Go speaker. 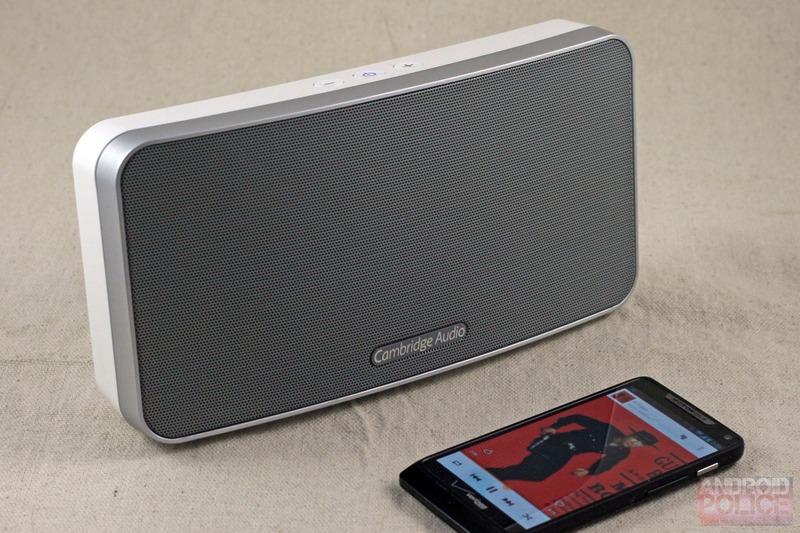 It has specifications that should be music to the ears of audiophiles, and a $150 price tag that fits neatly between decidedly low-fi solutions from Logitech and the pricier territory occupied by Bose and Jawbone. The Minx Go has two things going for it: impressive audio quality (especially in the lows and highs) and astounding battery life. The former comes from a five-speaker array hiding behind its nondescript grille: two tweeters, two 2" woofers, and a thumping bass radiator integrated into the rear of the housing. The battery life is quoted as 18 hours, but as you'll see, I managed to get even more out of it. The Minx isn't flashy, and I really wish it would let me charge devices without needing to be plugged in itself. 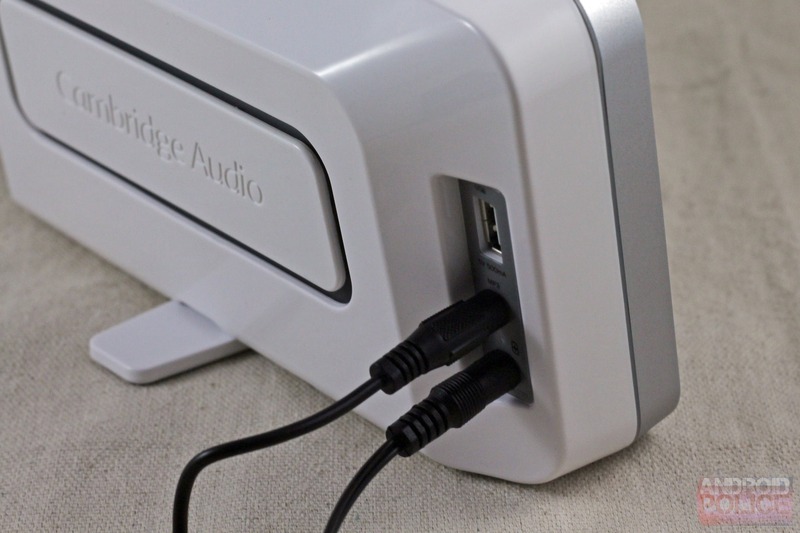 But for someone who needs great sound and frequently finds themselves in between outlets, it's an undeniably good buy. The Minx Go comes as a black or white brick, a bit more than nine inches across, four and a half inches tall, and just under three inches deep. The front of the device is nothing but a massive grille with a discrete Cambridge Audio logo on it. The gently-curving sides are split between a matte plastic ring for the speaker grille, and a glossy plastic case that extends to the back of the housing. It's subtle, utilitarian, and won't get many comments if you pull it out of an overnight bag. In a word: British. There are just three buttons for control on the Minx, all on the top of the housing: a power button and two flanked volume buttons. As buttons go, I wish there were more of them (some A2DP-compliant audio controls would be nice) but they get the job done. 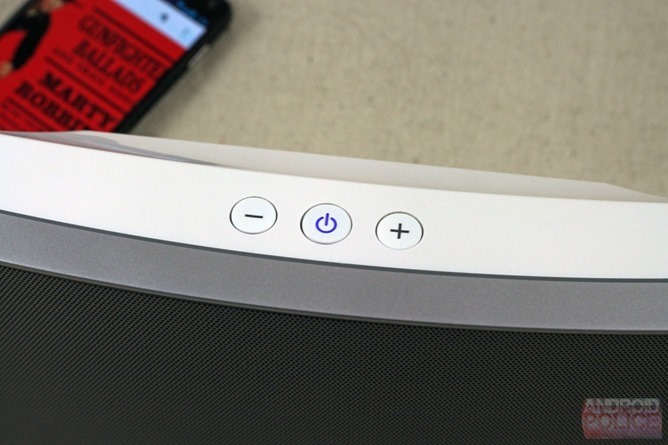 The power button hides a blue LED light, letting you know when the speaker is turned on. Around the back, you'll see a small input/output field with the AC adapter port, a USB port for charging external devices, and a 1/8" line-out port (short cable included). Add a flip-out kickstand to the bottom, and that's the hardware in a nutshell. The Minx is heavy for its size. 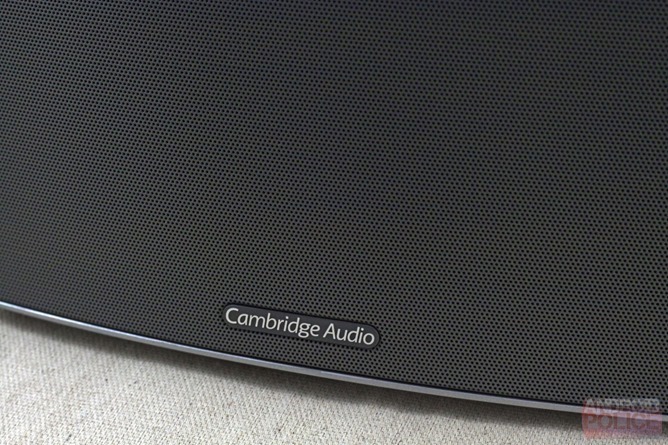 Cambridge isn't saying exactly how much, but a bit of experimentation yields just under three pounds, or about the same weight as one of the smaller laptops available. That said, the weight is put to good use: there's no flexing or bending anywhere in the plastic housing. This is clearly a well-built piece of consumer electronics. The weight is enough that the kickstand isn't really necessary unless you're in an area where the speaker is likely to be tipped over. Pairing the Minx Go with an Android phone or tablet could not be simpler. Hold down the power button for a couple of seconds to turn it on, listen for the charming little "be-de-de-de" chime, and you're in pairing mode. My phone and my computer both picked it up immediately, and made the connection quickly. 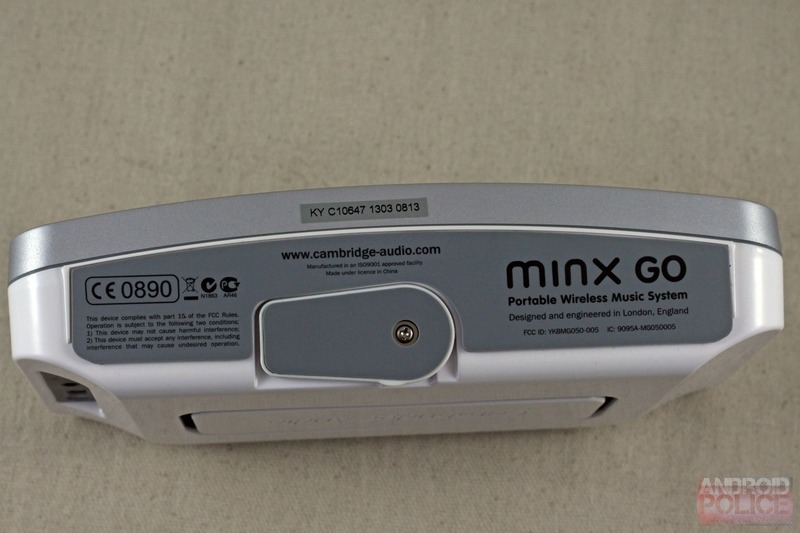 According to Cambridge, the Minx will remember up to eight device pairings. Once connected, it's not going to disconnect any time soon: I had to walk more than 40 feet and one wall away from the source before I started getting interference. Once connected, volume is all that you can control. Note that on Android, the Minx Go will control the source volume, and there's no way to make the speaker itself louder or softer. When paired to my PC, the speaker and computer volumes were independent of each other. This little speaker sounds much better than it has any right to. On my go-to test track (Sarah Brightman's Running, a rock vocalization of Holst's Jupiter Suite - don't judge) both the highs and lows were clear and detailed. The bass in particular was impressive, thanks to the bass radiator shaking the hell out of the back of the unit. Even on this relatively conservative track, the Minx Go (and anything on the same surface) was shaking with low-frequency vibrations at full volume. The mid-ranges are a bit muddy, and noticeably less distinct than higher treble and lower bass. But when compared to similarly-priced units in our Bluetooth speaker roundup for pure audio quality, the Minx will meet and beat anything up to the $200 range. It's a solid performer in a crowded field. I'll add that switching to a line-in from the same source makes the mid-range much clearer, though for a primarily wireless speaker, that shouldn't factor in too highly in your purchasing decision. The maximum volume was enough to fill up my small living room with sound. It's about as loud as the integrated speakers on my Vizio TV (but with much higher quality) and about 30% softer than the dedicated JBL 2.1 setup connected to my desktop. The Minx should be have plenty of volume for an indoor party, if not enough to rattle the windows, but noisy outdoor environments may be beyond its power. The battery life on the Minx Go is hands-down its best feature. Cambridge estimates 18 hours of battery life, but during my testing I got just shy of 23 hours. Now, most of that was playing audio from movies and television (at full volume), augmenting my tablet's lousy on-board speakers, so it's not as if it was pounding bass every minute. But it's safe to say that the Minx Go can get through more than a day's worth of intense music before it needs a charge. 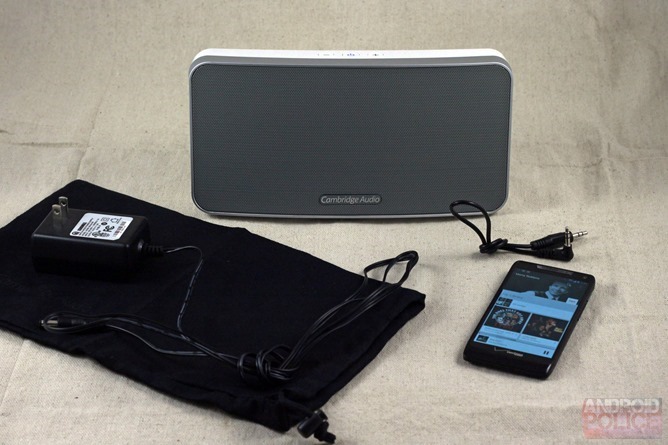 Throw the fully-charged speaker in your bag for an overnight trip, and you can forget the charger. ...unless you want to use it as a device charger. Unlike some other mobile-focused Bluetooth speakers, the Minx Go can't charge phones or tablets directly off of its internal battery. 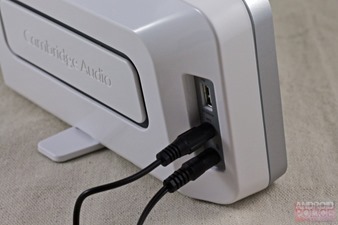 You'll have to connect the AC adapter to the speaker, then plug in the USB-powered gadget of your choice before it will output any electricity. That's a real disappointment for those who like to use these speakers as a battery backup, and since you'll have to bring at least one adapter with you anyway, it sort of defeats the point. In addition to the lack of on-device controls, there's no syncing application (which is alright, since most of those are junk anyway) and the 1/8" port is for an external source only - no daisy-chaining. The Minx Go is a great option for people who want clear, clean audio in a solid package, and aren't swayed by the flashy exterior of competitors. 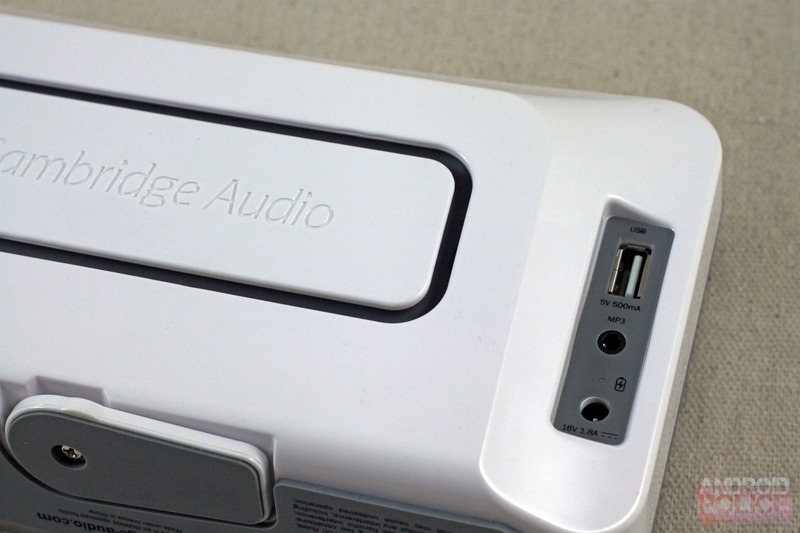 For $150, you couldn't do much better for pure audio, but you could certainly do a lot worse. 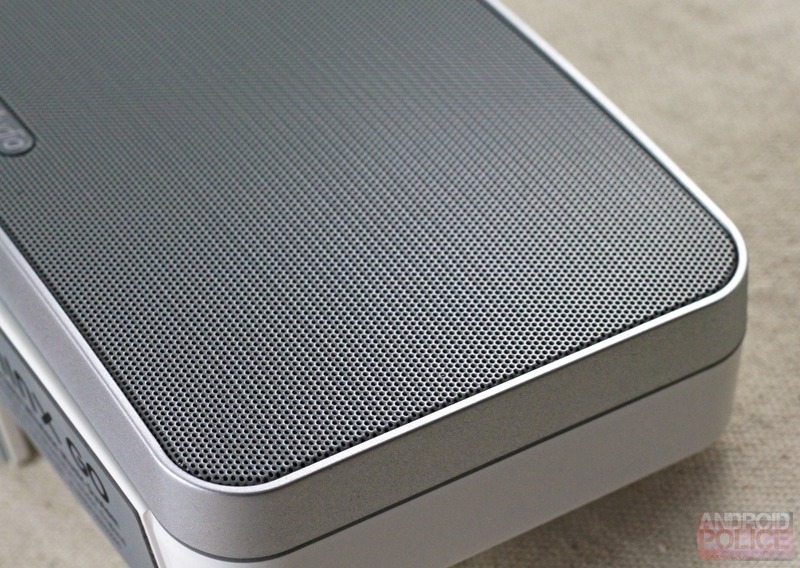 The weight of the speaker itself is offset by the high-quality build and long battery life. 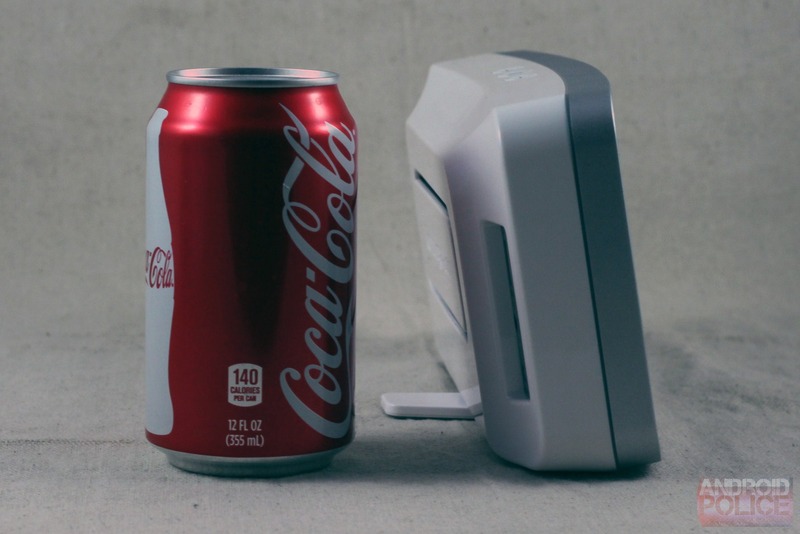 The only deal-killer for on-the-go users may be its lack of charging capability. If that's not important to you (or at least, less important than music that sounds great) the Minx Go is an easy recommendation. 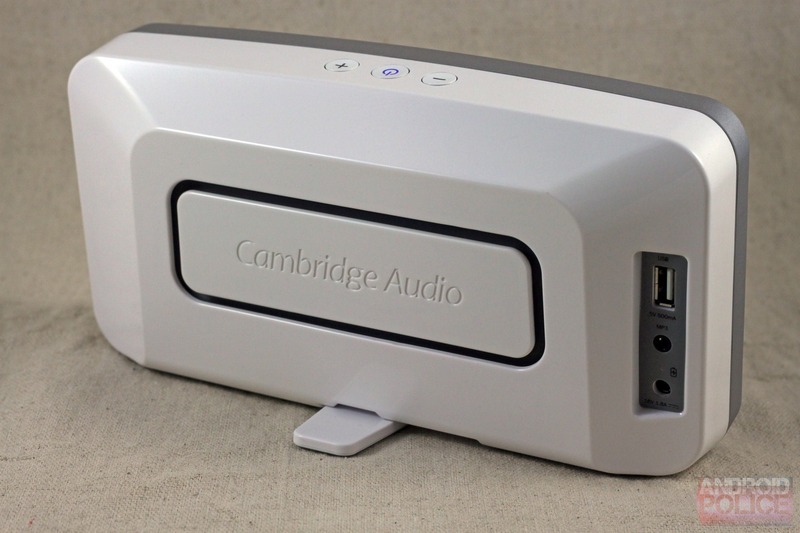 It's available in black or white finish from the Cambridge Audio website, with fulfillment from Amazon.